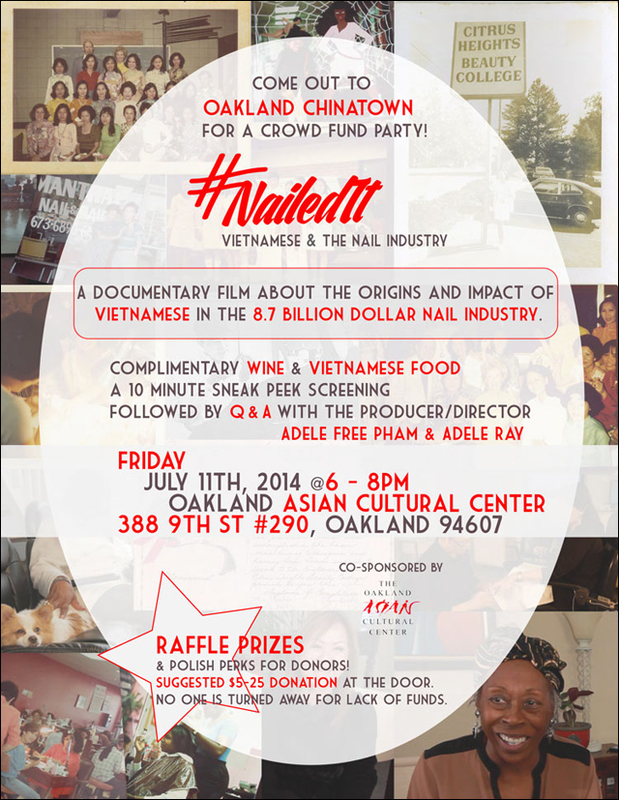 Here's an interesting documentary film project that could be worthy of your crowdfunded support... NailedIt: Vietnamese & The Nail Industry is an exploration Vietnamese American culture and history, specifically looking at the impact of the Vietnamese nail salon industry -- a uniquely American story. In 1975, a chance encounter between 20 Vietnamese refugee women and actress Tippi Hedren triggered the onset of the ubiquitous Vietnamese nail shop. Whaaaat? This documentary tells the story of incredible growth and impact a small community of people have on today's 8 billion dollar nail trade. This is an American story that has to be told. #NailedIt preserves and unfurls an indelible history, and gives voice to the Vietnamese women who are stalwarts of the nail salon. Although the wave of Vietnamese refugees coming to the US has slowed to a trickle, many Vietnamese have roots in the trade, and continue to use it to put themselves through school, and support their families in an unpredictable economy. #NailedIt also explores social/environmental issues that Vietnamese Americans currently face in the nail industry, including racial discrimination by regulators, negative portrayals and stereotypes in mass media, workers rights issues, education and the development of "healthy" nail salons and products, which is met with resistance from customers accustomed to discount pricing, and salon owners who have built their business around providing high volume, low overhead service. In other words, this is the definitive story of Vietnamese Americans and their impact on American culture and the & nail industry. Join us and make a difference!! The goal is to raise $15,000 by August 25. Funds will go towards production shooting costs of the remaining segments of the film, following the main characters in five major cities. For further information about the film, and to make a donation (with fabulous perks! ), head over to the NailedIt Indiegogo campaign. For further information, check out the Facebook event.